Liane is a Licensed Acupuncturist, Chinese Medicine herbalist and a massage therapist. She graduated from Oregon College of Oriental Medicine in 2002. Post-graduate studies took her to China’s Nanjing University of Traditional Medicine in 2007. Her undergraduate degree is from the University of Oregon. She also volunteered for several years in the Portland community acupuncture clinic at Outside In. Liane’s clinical focus is to improve her patients’ quality of life so they can keep doing what they love, maximizing vitality, and minimizing injuries and recovery time. Specialties include sinus health, menstrual regulation, anxiety, immunity issues, digestive issues and new and old athletic injuries. Her approach is intuitive and adaptive to each patient’s current needs. Before discovering her affinity for acupuncture and herbal medicine, Liane taught climbing at the National Outdoor Leadership School, traveling extensively. She was a member of the 1999 American women’s climbing team to the Himalayan peak, Cho Oyu. 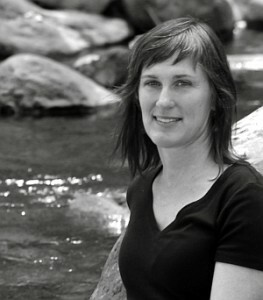 Liane has pursued numerous outdoor sports activities over the years, on rock walls, mountains, oceans, glaciers and rivers. When not at the office, Liane enjoys being an auntie, and can usually be found whitewater kayaking. Please visit our Insurance page to see if you are covered for acupuncture or massage.